In California, Colorado, and across the Southwest, the snowfall has ranked among the lowest on record. The last four months have also been among the warmest throughout most of the region, according to a report out last week. Parts of eight states are already under “extreme” drought conditions. Snowy, chilly winters are critical when it comes to recharging the West’s mountain snowpack, the source of water for rivers and reservoirs during the increasingly long and hot summer days. Less snow in the mountains, in other words, means less water for everybody living below. “I don’t think it’s hyperbolic to say that this winter is the stuff of nightmares for water managers in the Colorado River watershed,” says Luke Runyon, a Colorado-based public radio reporter focusing on western water. 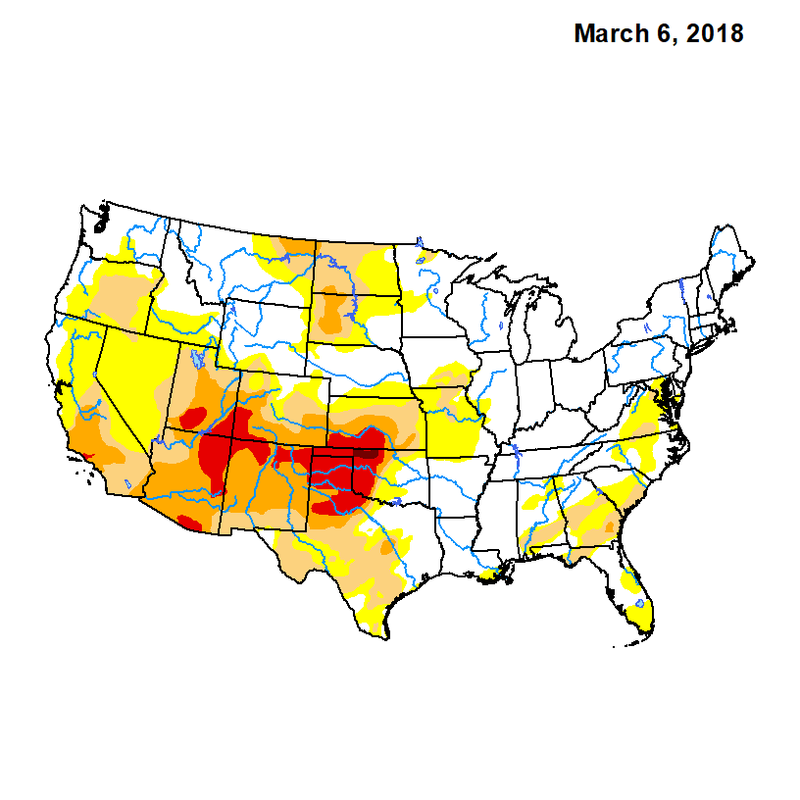 Some 40 million people in seven states depend on water from the Colorado River, and at this point, spring storms across the river’s wide drainage area would need to produce snow at more than 300 percent of the typical rate just to get back to normal for the season. In the river’s main storage spot, Lake Mead just south of Las Vegas, Nevada, water levels are on track to fall so low that they would trigger the first-ever official shortfall late next year, according to new data from the U.S. Bureau of Reclamation. Water rationing would be the next step. Warmer, drier winters like this one are exactly what you’d expect with climate change. A new study published earlier this month showed that over the past 100 years, more than 90 percent of snow monitoring sites throughout the West have seen a decline in snowpack. In total, that’s a loss of summertime water storage equivalent to Lake Mead. The evidence of dwindling snowpack is nearly everywhere you look. 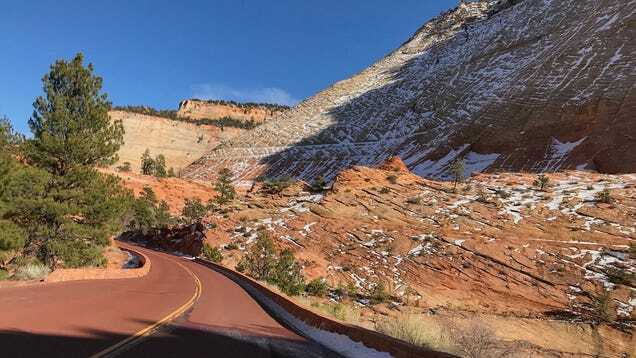 According to the latest information from the National Oceanic and Atmospheric Administration, the period between Nov. 1 and Feb. 28 was at or near the warmest and driest on record for nearly every corner of the Southwest. In Arizona, the Navajo Nation has declared a drought emergency, and farmers across the West are preparing for a dry summer, contemplating killing livestock for fear they won’t be able to feed them later this year. Last week, a 23,000-acre wildfire popped up near the Colorado-New Mexico border, a striking example of just how dry things are right now. In California, statewide snowpack on March 1 rivaled the lowest ever measured, just 19 percent of normal. A series of big storms have since nudged that value to about 37 percent of normal — a major win in a state where every drop counts. One problem, though: New data from the California’s Water Resources Control Board show that people are using more water after last year’s relatively good rains, as usage rates are back near where they were before the state’s five-year drought. It seems that many Californians have already forgotten what they learned about how to save water. It’s clear that the West’s steady and transformative slide into a drier future has already begun. This is just the start.